NCRA’s RPR Study Guide is a comprehensive book that takes each knowledge area of the RPR exam and provides a manageable, straightforward tutorial of what candidates need to learn to be successful on test day. Released in the spring of 2015, the RPR Study Guide can provide the edge to candidates readying to test for the certification. With registration now open for test dates in April, this is the perfect time to invest in the guide. The guide includes individual sections focused on the different topics of the Written Knowledge Test, tips and tricks for speedbuilding and avoiding test anxiety for the Skills Test, and hundreds of practice questions, including pinpointed subject tests and full practice tests that mimic the real thing. 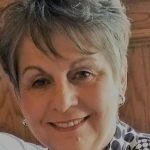 It is a one-of-a-kind resource for court reporters working to become certified, as well as students who are finishing their court reporting program, like Valerie A. Pavlik, a student at MacCormac College in Chicago, Ill., who purchased the book to prep for not only the RPR but also her state certification. Pavlik, who plans to freelance when she graduates in May and eventually hopes to become an official court reporter, says she particularly found the English and the legal sections of the book useful, and the manner in which the book provides a breakdown of tests by percentages very beneficial. “I’ve already recommended it to others who are also interested in taking the RPR,” Pavlik says. The study guide is also a valuable tool for working reporters who need their RPR due to a move or new state legislation, as well as previous test-takers who are looking for that extra push to successfully earn their certifications. In addition, the RPR Study Guide provides background information about NCRA and how the association functions, as well as logistical information about taking the exam itself, especially for the new online skills testing. The RPR Study Guide was supported by the National Court Reporters Foundation and written with the help of Brenda Fauber, RDR, CRR, CPE, an official from Omaha, Neb. Fauber served on both NCRA’s Item Writing Committee and the Test Advisory Committee. Throughout the study guide, she offers advice to prepare for the exam while also providing detailed explanations of sample study questions, allowing readers to go inside the head of a testing expert. Other contributors include past National Speed Contest participants and Marybeth Everhart, RPR, CRI, CPE, myRealtimeCoach’s national marketing manager. 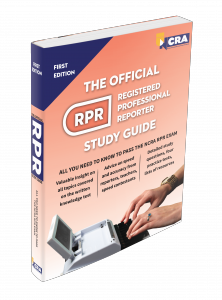 The RPR Study Guide is available in the NCRA Store and is priced at $124.95 for members and $162.44 for nonmembers. There are additional discounts for students. Like running a marathon, speedbuilding requires a fiercely determined attitude that can only be accessed beneath our sometimes whimsical desires for pleasure and accomplishment. Pushing to the next speed level demands strength, drive, tenacity, and courage – those character traits that can make us uncomfortable, yet focused and forceful. Those traits emerge when we have a goal that we feel is really worthwhile, and when we find that goal, we can find motivation. As students, you must find this motivation to succeed within yourself. And you cannot do that unless you have first considered other options and goals, weighed the pros and cons, and have decided that for many reasons court reporting and/or captioning is the career you want to pursue. These reasons are your reasons. No one else can make you want to reach your goal badly enough to make sacrifices and to discipline yourself to achieve it. So when you feel your ambition draining, review the reasons why you are in court reporting school. Consider writing down your reasons and putting this list in a prominent place where you will see it and can read it every day to give yourself a motivational boost. It is nice to have others encourage you, but do not rely on others to give you your motivation. Only you can do that. Visit the professionals in the field. Freelancers, officials, and captioners will each have their own unique perspective and advice to offer you. Observe them as they work, if possible. Ask them about their job, what they like and what they do not like about it. Learn all you can about the day-to-day duties of the profession. This will help you to affirm your reasons and decision for pursuing this career and can help you to develop a strong commitment to your goal. And the more professional contacts you make, the easier it will be to see yourself as a working reporter and feel that you, too, are a member of the court reporting community. Many job opportunities. You can enjoy the flexible hours of being a freelance court reporter. You could even own your own court reporting firm. Or you can become a broadcast captioner and work for a captioning company. Or you can have the stability of being an official court reporter and working in court. You could also provide CART for the deaf or the hearing-impaired. Court reporters are also needed to report meetings for state and national conventions. Congressional reporting is yet another field a student may pursue. You could even consider teaching court reporting. The money. Most court reporters are well paid and can increase their salaries by gaining further certification and by taking more jobs. According to the Bureau of Labor Statistics, the median annual earnings for a court reporter were $49,860 in May of 2014. The highest paid 10 percent earned more than $94,140 in 2014. Some court reporters make over $100,000 per year. Check www.bls.gov for their latest update on earnings. Interesting work. 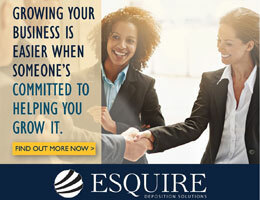 Reporting for depositions, court, education, meetings, or broadcasting involves a wide variety of subject matter. You will meet many people in different occupations and situations. You will learn a great deal from this exposure. Comfortable working conditions. You can make your workspace as enjoyable as you desire if you freelance or become a broadcast captioner and work at home. If you report depositions, they are usually conducted in pleasant surroundings at the attorney’s office or the office of the witness. Official court reporters have their own private offices at the courthouse. CART providers work in various locations, such as classrooms, meeting halls, courtrooms, and businesses. You will work with other professionals, many of whom are at the top of their fields. Respect from others. The court reporting and captioning field is well-respected. People are fascinated by the job and will inquire about the details of what you do. “Certified Shorthand Reporter,” “Registered Professional Reporter,” and all of the other specialty certifications reporters can acquire take tremendous effort and skill to attain, which makes the reporting field a unique and respected niche. help to bolster your self-esteem and self-respect. A worthy achievement is a source of pride. Review often the reasons that have made you decide to pursue this career and add to those reasons whenever you can. When you fully understand this profession and what it takes to succeed in school, and when you have truly made up your mind that this is what you want — to become a court reporter or captioner — you have already taken some very crucial steps towards reaching your goal. Hard work, perseverance, self-discipline – and motivation — can then follow. Sarah E. Vestrat is the author of Student Guide to Success in Court Reporting School published by Avitus Press. She lives in Broken Arrow, Okla, and can be contacted at sarahvestrat@hotmail.com. Portions of this article were excerpted from the book, Student Guide to Success in Court Reporting School, by Sarah E. Vestrat. As students, we’re taking tests all of the time, particularly in speedbuilding classes. My teacher will remind us frequently, “I can’t think of any other student who must get an A+ (95 or better — for some it’s even higher!) to even pass their tests.” So the standards are very high. This is great, though, because we must retain those same high standards when we are out and working. I have a confession to make. I was a former “A” hound. I’m not proud of it, but I once dropped out of college over an unfair “B”. Yes, you actually read that correctly. I realized that failing every single speed test that I take until I’m at speed and can pass one might actually take a lot of out of me. I set about finding a way to make each test important. 1. If you take a test, transcribe it. I’m a hypocrite here. There are days, particularly the days when my children get out of school early, where I test and run. Some teachers will let you transcribe your test on another day, though. This is so important to do, however. This will teach you how to read through your garbage. Every honest professional court reporter is going to tell you that they have good days and bad days. You need to be able to read it anyway. This is another opportunity to build your dictionary! Obviously, if you’re seeing groups of words coming up, or words you cannot stroke properly to save your life, define them. Keep track of how many words you wrote. Over time, you’ll see the word count trending upwards and this will allow you to see progress, even when you aren’t feeling it. This can be powerful. 3. Do a forensic exam on your test. For each and every test, if you have the time to figure out why you didn’t pass that particular test, you are adding to your likelihood of passing another one sooner. I’m going to have to oversimplify it here: There are many solutions to each of the scenarios I’m going to put forth, but hopefully it’ll point you in the right direction. I didn’t have enough words to pass it.Okay. That’s understandable. Most of us are in that very same boat! If this is the issue, it’s time for some serious speedbuilding, practicing muscle memory, and warming up with finger drills. You may want to really work on finding ‘the zone,’ the place where your ears hear the word and your fingers type the word and your brain is out having lunch. You will hear people talking about “getting their brains out of the way” a lot in high speeds. Poor punctuation sunk this ship! This is good news because it’s such an easy fix. Brush up on punctuation! Perhaps your school offers a class, or you can pick up a used copy of a grammar book. There are wonderful resources online such as grammarist.com and Grammar Girl. There are also online courses. Most public schools or even community colleges offer free or very cheap classes in punctuation. Keep track of every single punctuation mistake that you don’t understand, look them up as soon as possible, and commit them to memory and/or make a crib sheet for transcribing (if your school allows you to have references while transcribing). Find a source and learn how to punctuate. It’s important! So many people say, “I’ll just hire a scopist.” I’ve got news for you, Charlie. Proofers and scopists don’t work for people who make their job really difficult. If you are just dreadful at punctuation, they will do one or two jobs for you and then be “too busy” when you call them again. I’ve heard this over and over again from graduates and professional court reporters, and I’ve heard it from actual scopists and proofers. I can’t read my notes at all! Deep breath. This could just be an accuracy issue. Try to slow down practice to your tar- get speed and slightly below. Pay more attention to what your fingers are doing. Look for patterns such as dragging extra letters, omitting them, using the wrong side for a particular letter (R is my big offender), and so forth. Learning your own quirks will give you an opportunity to read through your garbage, correct common mistakes through targeted practice, and define things to your dictionary that you know would never be anything else. Suddenly these quirks are no longer a problem. They translate! OR: You aren’t a good steno reader. Practice makes perfect. Start reading your notes. Print them up and take have some in your car, by the bed, in the bathroom — places where you may find yourself with a few minutes to kill. Bliss! I’m fast enough usually, but there are some common phrases that just trip me up! Briefs and phrases, my friend. I couldn’t embrace learning a ton of these in theory or speedbuilding, to be honest. I’m not good at memorization. What I am good at, though, is getting really sick and tired of stroking out “Ladies and gentlemen of the jury” and deciding to learn a better way to write them, one or two at a time. I learn the briefs or phrases for the ones that make me roll my eyes when I hear them. You really will end up with a nice arsenal of them. I did embrace, and still do, brief families. Or are they phrase families? You know the old, all of, all of the, and all of it, or I know, I don’t know, you know, you don’t know, he knows, and she knows, etc. When you try new briefs and phrases when you’re writing, but they don’t come to you when you’re transcribing, that means you really need to read them when you write them for practice. Just looking at a flash card and memorizing it, then writing it, doesn’t always make it clear when it’s in the middle of a bunch of other steno. If you practice a brief or phrase to learn it, go ahead and read your notes back so you’re seeing it, too, in situ. It helps. We call this blame shifting. It’s a sign that you need to take a step back and really evaluate what’s going on for you. It’s always a worrisome sign to me when people are looking outside of themselves for the reasons that they’re not passing tests. We can’t control what’s happening outside of ourselves. Some people will hate you. Some will talk really fast. There will be distractions in the court- room that you can’t even imagine yet. (A field trip for me clued me into the rattling of chains, no kidding! I don’t know how that court reporter could hear the witness!) Those things are outside of our control. If we focus on things that are outside of our control, we don’t have a solution. This can lead to just giving up in despair! We really have a whole lot more power over our journey than it sometimes feels when we see failed test after failed test after failed test. Instead of seeing the failure, letting our confidence take a hit, becoming depressed or frustrated about it, we can re- member that we have power, real power to turn things around and to make each failure count. They say attitude is everything in court reporting school. I choose the powerful attitude. I choose the positive attitude. I choose to conquer those tests, complete my journey, and enjoy the payoff later when I’m a bona fide court reporter! How about you? Meridith Knepper Carsella can be reached at mcarsella@cfl.rr.com. My work as a court reporting instructor inspires me to always be on the lookout for ways to reach students, to pro­mote steno skills, to motivate additional practice, to enhance a student’s under­standing of how to use steno, and to en­lighten a student with a brand new steno brief or bit of advice that helps to propel that student to the next level of steno skill. As I observe students learning to become court reporters, I often compare that pro­cess to other activities. After all, we’re learn­ing a skill, and certainly how we learn other skills can be applicable to learning steno. It was through this observation and research into skill-building and learn­ing that I’ve discovered that the way one learns to play chess – a game that people play for years and years – is very applicable to learning steno. An individual who plays chess at a high enough level of skill that he or she can beat chess experts is known as a chess master. The United States Chess Federation, an organization that oversees chess games and championships, awards titles of National Master, Senior Master, and Life Master. Other chess organizations recognize such titles as Senior Internation­al Master and Grandmaster. Players attain these titles based on their performance rat­ing in tournaments and games. We can compare these titles to the ac­knowledgement and certification awarded to members of NCRA who achieve ste­nowriting success. Do you recognize the accomplishments of the RPR as a National Master? The RMR as the Senior Master? Diplomate as the Life Master? And let’s face it, those speed champions we all know, ad­mire, and love are certainly worthy of the title Grandmaster. Now, I cannot attest to know ex­actly how the steno masters of our world achieved their success, but I am very sure they practiced a lot and they know their theory rules. They have talent, and they possess perseverance and internal motiva­tion. 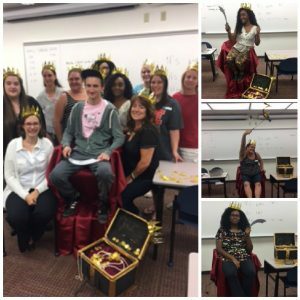 If you will consider how the game of chess is learned and mastered and then ap­ply those strategies to your quest for skill and knowledge, you will become a steno master sooner than you anticipate. Let’s consider how we learn gener­ally. Constructivism is a theory of learn­ing that asserts that a person constructs or builds knowledge based on his or her own understanding of the world through expe­riences and then thinking about and re­flecting on those experiences. As we think about things, we change or modify what we thought before, or we may even discard the old information to allow us to construct this new information or knowledge. Learn­ing is a combination of thinking and then remembering. Consider how someone learns to play chess. It may appear that the game is just about moving pieces around the board. That’s not so different than moving the keys on the steno machine, is it? In both cases, there is a physical element to this skill building. Practice is certainly necessary. After all, you can’t get faster and better if you don’t practice both chess and/or steno, right? There are specific, reliable rules that apply to playing chess. There are two play­ers who use a 64-square game board. Play­ers take turns playing. One player uses 16 white pieces; the other, 16 black pieces. There are six different kinds of pieces. Each player has one king, one queen, two rooks, two bishops, two knights, and eight pawns. Each piece can be moved only in a particu­lar direction. There are specific, reliable rules that apply to steno writing. There is one writer, one speaker at a time, one steno machine, a number bar, four vowel keys, and 20 conso­nant keys. The writer must depress the keys in very particular keystrokes. That is the first thing about learning to play chess that is valuable to learning to write steno. You must think about the rules. You must know how to write something. You must eventually know how to write everything. Whether you are a new-to-steno student, a middle-of-program stu­dent, or an interning student getting ready to look for a job, you must think about steno and stenowriting rules. Think, reflect, and remember; that’s how you learn. Knowledge of the rules, though, is not sufficient to become a chess or steno mas­ter. You must be able to execute the moves. Just as the chess master moves about the chess board, capturing his opponent’s piec­es, you need to move about the steno key­board and capture all the words you hear. In a chess game, the board is laid out the same way every time. Our steno keyboard never changes. The keys we depress differs dependent on the words, but the keyboard is reliable in its design, just as the chess board is presented reliably each time two people sit down to play. The player with the white pieces always makes the first move, and then the play­ers take alternating turns. The speaker or dictation always goes first, and the writer responds. We have the same kind of alter­native movement as the chess players. We hear words, and then we write them. The chess pieces move in a predeter­mined fashion. Our steno outlines have been predetermined. We do have the lux­ury of creating new outlines for words, but those outlines rely on our rules and the construction of the keyboard. The goal of chess is for one player to move his or her pieces so that the oppos­ing king is in a position to be captured and cannot escape. The goal of stenowriting is to move the keyboard so that all the words are captured and none have escaped. There are a variety of strategies that chess players use to help them learn and master the game. A very popular strategy is to control the center of the chessboard. The center of the chessboard is the most active part of the board, and it allows a player the most opportunities to control the remainder of the board. For instance, a knight in the center of a chessboard can cover eight squares; the knight on the edge of the board has only four squares; and the knight in the corner has just two squares available to cover. Players are continually advised to develop their moves so that they will be able to control the center of the board. Losing control of the center of the board typically results in a restricted and cramped game, which leads to a short and failed game. This particular strategy can be easily adopted by the steno student. Nearly all dictation exercises and tests are five min­utes in length. If we consider the center of our dictation minutes two, three, and four, we can approach our practice and test-taking in a new and deliberate fashion that enhances our ability to write and prepare the test transcript. Begin the first minute knowing you have to concentrate on context and just writing as hard as you can. Push past those first-minute test jitters and settle into the dictation. You can enhance your first min­ute practice by practicing as many first minutes of different dictation pieces as you can. Set aside a certain amount of your reg­ular practice time each day to work on the first minute of something. This will expand your writing and everyday vocabulary. This will also assist you in getting the feel for a minute of good, solid writing. After writing for a minute, stop and examine your work. Rewrite errors. Consider what is being dis­cussed. Has a question revealed whether this take is a car accident or a divorce or a bankruptcy or a medical case? As you go into the center of that dictation, having gained some control and understanding of the topic, you are better prepared to control the center of the exercise. It is in the middle that you can make an adjustment to writing if you need, per­haps using a brief. You know what is going on. You are used to the sound of the voices now. You are in a rhythm and writing well. That’s what the middle should be. You can use what you were introduced to in that first minute to help you feel secure and confident. As you write into that fi­nal minute, just hang on. You know by now you are almost done. This is not the time to give up. 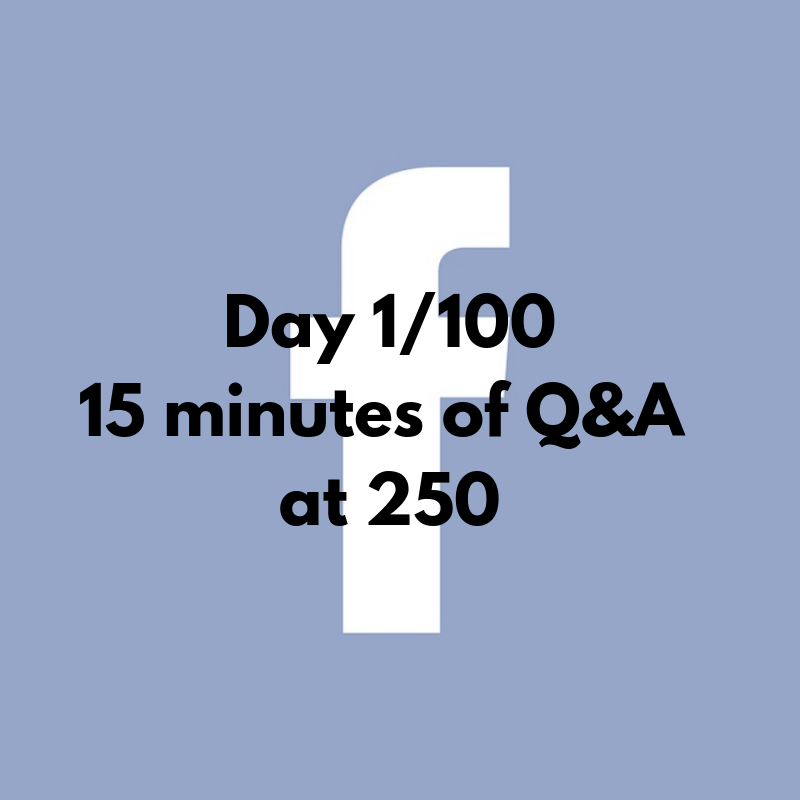 You are familiar with the content and the speech patterns of the Q&A or the jury charge or the literary take. Trust yourself to finish every last word – and be sure to write the very last word. Using this technique can boost your transcription of a test. Use every bit of the one hour and fifteen minutes you are allowed. Use what is in the middle of that tran­script to help you decipher any untranslated outlines. Look for words that were introduced in the beginning to be used again later. Make sure all names and dates and pronouns are consistent throughout the transcript. Maybe you misunderstood something or have a drop in the first minute, but the cor­rect or missing word is revealed in the mid­dle. Use the whole transcript to help you get the best test transcript possible. And think! Think about what you are reading as you proofread. Does it make sense? Does it jive with what was in the beginning? Do you have a similar mistroke throughout? Ask yourself what it could be. Say it aloud. Reflect on what you heard. You were learning while you were writing – let that knowledge shine through that tran­script. Chess players assign value points to their chess pieces. Known as the chess piece relative value, it assesses the strength of a piece and helps to determine how valuable a piece is strategically. Standard valuations are typically that the queen is worth nine points, the rook is worth five, the knight and bishop are each worth three points, and the pawn is worth one point. As players make moves throughout a game, they use this point system to help them determine whether it may be worthwhile to move one piece that may be sacrificed as the oppo­nent captures it in order to gain access to or use of another more valuable chess piece. How can this chess playing strategy influ­ence stenowriting? If writers assign points to particular aspects of their writing, they can then make decisions about how best to progress through an exercise. Using a point system as part of a transcript review prac­tice will reveal how better to approach that exercise the next time. Here is a proposed set of values for the work of the stenowriter. Pawns are worth only one point. They have the least amount of value in chess. Assign one point to the required or mandatory outlines of your theory. These are typically the homonym outlines or mandatory brief forms. They do ensure accurate translation, but a transcript can be deciphered and pro­duced well through editing and proofread­ing. Knights have a value of three points each in chess, indicating they have a greater value than the pawns. Good editing and proofreading skills are essential to our suc­cess both as students and professional re­porters, and editing should be assigned a value of three points. Sadly, most students have had the unfortunate experience of failing a speed test because of an editing or proofreading error. We always want to avoid that, don’t we? Bishops, worth three points in chess, are also the pieces that can move as far as possible in a diagonal fashion on the chess board. Bishops work well together in chess because they cover up other pieces’ weak­nesses. The asterisk is the keystroke that covers up the steno writer’s weaknesses. The asterisk indicates the writer is aware of context, speed, and theory, so the asterisk gets assigned three points. Rooks, with their value of five points, are second in value only to the queen. The rook is moved about the chessboard as far as possible forward, backward, and to the sides. While it cannot move diagonally, rooks have a lot of power on the board and are especially powerful because they work well with other rooks in protecting the board and the king. Briefs save time and potential errors. Their use demonstrates a thorough knowledge of the writer’s theory and available brief forms. Briefs can also be created on the fly, advancing the writer’s speed and writing skill. Assign brief forms a point value of five. The queen is the most valuable piece on the chess board. Accurate writing is the most important tool the stenowriter has. Whether writing with a lot of brief forms or not, accurate keystrokes are necessary for realtime writing. Do not ignore the fact that any writer’s dictionary is truly infinite in size, and an unlimited number of en­tries can be incorporated into a dictionary. Taking misstrokes – WEPBLT for WEPBT (went), for example – and turning them into outlines, in essence, makes an other­wise inaccurate writer an accurate writer. Accuracy is developed through countless hours of practice of good stroking tech­nique, review of transcribed words against dictation, and maintenance of one’s dic­tionary. Writers who track their rate of ac­curacy in practice will very often find that they have that same level of accuracy on a test. Accuracy is our most important steno tool at any time and should be awarded nine points. How can we use this point system as a strategy for building skills? First, develop a plan for evaluating practice performance. You should use a chart or Excel spreadsheet to help you with this process. Create a table that includes a place to list your word-per-minute attempt, brief forms, and manda­tory outlines. Add words and outlines to this document as you review your work. Assign each word of the exercise nine points. This gives us a very large total for any exercise. A 140 word-per-minute exer­cise has 700 words. Assigning each word a value of nine points, the exercise is worth 6,300 points. From that total accuracy point value, we are going to first subtract all of the mistroked, miswritten, and dropped words. This requires the writer to com­plete a writing exercise and then review the transcript against the dictation and with a keen eye on how the words and keystrokes were executed. If you dropped, mistroked, or miswrote 100 words in your 700-word exercise, you must now subtract 900 points from that total of 6,300. (Nine points per word, 9 x 100 = 900). You now have 5,400 points for your exercise. Next, examine your work to determine how well you used your other writing tools. Review your steno and your transcript. If you had an error because you did not use a mandatory stroke correctly, subtract that from your current total. If, on the other hand, you used your mandatory strokes, add points for each of those words. Look for your use of the asterisk. Did you use the asterisk? Lots of times, students will rewrite a mistroked word without us­ing the asterisk, thinking that they will real­ize what they did or they just didn’t strike the asterisk in time. If you have a place where you should have used the asterisk but did not, subtract three points each time. If you did use an asterisk to make a correction, add three points. Search your steno for brief forms. Did you use as many as you could? For each brief form that you know, but did not ex­ecute, subtract five points. For each brief form you did use correctly, add five points. After completing this thorough review of your work, determine how many points you have accumulated. Your point goal is to have at least nine points per word or more. You get more points by giving your­self credit for using brief forms, mandatory outlines, the asterisk, and so on. If you are reviewing a transcript after a teacher’s assessment, examine it especially for any proofreading or editing errors. Keep track of those so that you can study them and avoid them in the future. Know where you utilized punctuation and word usage correctly so that you can reflect on that and repeat that in the future. As you review practice, award editing points for correct application of punctuation and deduct points for a lack of correct punctuation. The more you apply these editing features in your writing, the more you are enhancing your learning of these skills. Before rewriting the exercise for further practice, modify your dictionary in any way you can to improve your translation on further writing of those words. Write the brief forms and phrases you used for reinforcement and the ones you know you should have used. Think about the theory rules that apply to everything you have written. Learn something from what you wrote. Think about the context. Be sure that you understand every word that was said and what the intent of the dialogue was. Construct some knowledge. Keep practicing until you have won the game. Work in small segments of the dictation, and apply the point system to that passage. Continually ask yourself if you have written that part in the best possible, most efficient, theory-based, stroke-minimizing way. If the answer is yes, then you just need to do it again and again until it is natural. Your writing skills will improve, and you will have enduring power to keep writing well. Approaching a steno writing exercise like a chess game allows you to take on your opponent, the dictation, with a plan of attack and a strategy to win. Thinking about what you are doing and remembering how to do it builds knowledge that, in turn, allows you to build the skill to execute game-winning strokes. There are three more keys to successful writing that we share with successful chess players. Chess masters play a lot. They thing about their moves, they reflect on what they did that worked well, and they know which moves put them into a place to lose the game. Steno masters practice a lot. Steno masters write a lot, and they reflect on what they wrote – what was well written and what lacked accuracy and efficiency. The more you practice, the better you will be. Chess masters study the game. There are lots of book available on chess, but steno writers don’t have to go anywhere to find a way to study. Review old theory les­sons. Review a section of your dictionary. Pick up any book or newspaper or maga­zine and look at those English words and think about the steno rules that apply to their correlated keystrokes. Chess masters have fun. They don’t give up when they don’t win all the time. World chess champions have lost plenty of games. They just keep going. They rec­ognize their successes, and they play with the intent to have fun. Steno writers should have fun as well. Slow down the dictation if you need to so that you experience success. 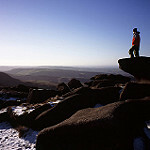 Increase the speed incrementally, moving up only when you know that your most re­cent speed was written with precision. Approach your steno skill-building as if you were playing chess. Develop a desire to be a steno master. Build skill and knowl­edge each time you write. Review your work thoroughly and carefully, determin­ing what aspect of your steno skills needs attention at any particular time. Soon, you will be saying “checkmate” as you turn in your test transcript, knowing you were the champion of that round. From there, it is only a matter of time until you are sit­ting on a stage, competing for the title of World’s Fastest Court Reporter and being recognized as a steno grandmaster. Years ago, I wrote about shifting a student’s thoughts about processing. The student went on to become a court reporter, and I wrote about her path again a few years later. Over the years, I have been contacted by students, reporters, and instructors to expand on the topic with my tutoring and coaching. The sentence originated when I was teach­ing evening classes in the late 1980s. My stu­dents asked why they were not progressing in speed classes while putting in the hours, while enrolled in academics, while working full time, and while arriving after a long day for a four-hour evening. I saw their frus­tration as their expectations were not met. Students often “flew” through one speed to then “sit” in another. They were challenged by speedbuilding, by typing up tests, by aca­demics, and by nightly dictation. My parents, both degreed instructors, always asked about my students. My father particularly enjoyed helping me with these challenges. He listened as a guidance coun­selor, social worker, and father. “My students work so hard. Sometimes I think they’re working too hard. They be­come frustrated. Sometimes I think their frustration is part venting to progress,” I said one weekend. Mr. Emmett, as my father was known to the reporting industry, replied, “The mind is like a sponge. The human mind has to take time to absorb the information. Tell your students that when you put a sponge into a glass filled with water, the sponge first ab­sorbs the water. This is a process. They came into the court reporting program with an empty slate, learned new skills, and learned thousands of new words with ‘steno lan­guage’. Now their brain, like that sponge in the glass with water, has to take time for the new information to be absorbed. If time is not taken for the absorption—or the pro­cess is interrupted—there is an overflow of water or a problem. My parents talked about how very young children have a window of learning, and 4-year-olds are able to easily learn multi­ple languages with little effort. The window closes a few years later. He offered me scientific and historical data that revealed how people develop ac­cents around the world—and also how chil­dren who were raised under harmful condi­tions may never have been taught to speak. “Windows close, and this is the same for all cultures,” he reinforced. The conversation came back to my court reporting students. Mom and Dad discussed how people learn steno theory, progress through specific areas, and then perhaps park. “That is when they are processing in­formation. They have to process to move forward,” my dad said. Maybe that was not my finest moment as a teacher, but each student “processed” that concept instantly. That night and whenever I have had the opportunity to share this information after that first time, I have witnessed shifts in fo­cus. Perhaps the mind “is” like a brain with windows and opportunities as we then grad­uate, seek perfection in our writing transla­tion rates, and continue to advance our skills—always seeking accuracy, always progress­ing, always processing. I wish each of you and your loved ones a grand Happy New Year and a “processing” 2014.